2016’s CES is over, but before we wrap-up our coverage, we want to shed some light on those few products that stood out to us the most. After spending the weekend mulling the contestants, we’ve come up with a list that we feel are the hot items to look out for over the coming year. Here is our top 11 products for 2016! CES is such a huge event that it’s impossible to cover it all within a week. While virtual reality, drones and home automation blanketed the stands this year, there were quite a few other interesting products on display. Now that the event is over, and we’ve had a chance to mentally digest what was on offer, we’ve put together a list of what we thought were this year’s Best of CES. Each Techgage staffer picked out one or more items that really stood out to them. Some may not come as too much of a shock, others may take you by surprise. Please enjoy this year’s picks, and for more CES product love, don’t miss our roundup article. Greg King: There is little that can be said of the Vive that hasn’t already been stated. If there was a theme for this year’s CES, and they all have themes, it would be drones and VR. While a few products clumsily combined both, the undisputed star of the show was the HTC Vive. The Oculus was on display in many booths, but having used it and the Vive in back-to-back meetings, I felt somewhat able to form a unbiased opinion. That said, I walked away with the opinion that the Vive is the VR headset to beat. Aside from the headset that feeds 1080×1200 to each eye at 90 fps, the hardware that makes up the total experience is the 33 sensors that can be found on a pair of infrared cameras and controllers. Add those to the 37 sensors found in the headset itself; the entire package can track your movement spatially as you move around in your room, as well as your head. Built into the headset is a front-facing camera. This is intended to provide a pass-through picture of what is directly in front of the user. The neat use of this is to alert the user of any object that might be in front of them while they have the headset on. This alert comes in the form of a blue grid that, as one might expect, has the feeling of getting closer to the user as they actually get closer to an object in real space. The controllers that come with the HTC Vive are of a unique shape, but in our short time with them, simple to get used to. There are some limitations of the controllers, but with any first generation product, they will be refined as more and more feedback comes in. PCs running NVIDIA’s 970 GTX and higher will be able to drive the HTC Vive. At this time, companies have not stated an AMD equivalent that will provide a suitable substitute, but by performance alone, we’d go with something like an R9 390. With pre-orders happening on February 29th 2016, and hardware shipping out in April, we are getting close to the full release. With 7000 developer units in circulation, Valve and HTC are undoubtedly getting valuable feedback. I for one cannot wait for the finished product. HL3 in VR?… confirmed. Hopefully. J.D. Kane: EPSON’s Supertank printers, exemplified by the EcoTank ET-4550 it had on display during CES Unveiled, excite me because I believe this is the way forward for printers. It redefines the model for printers by eschewing the wasteful disposable ink cartridge. Instead, a Supertank printer is equipped with self-contained tanks of ink. There is enough ink to last many months, even under heavy usage. 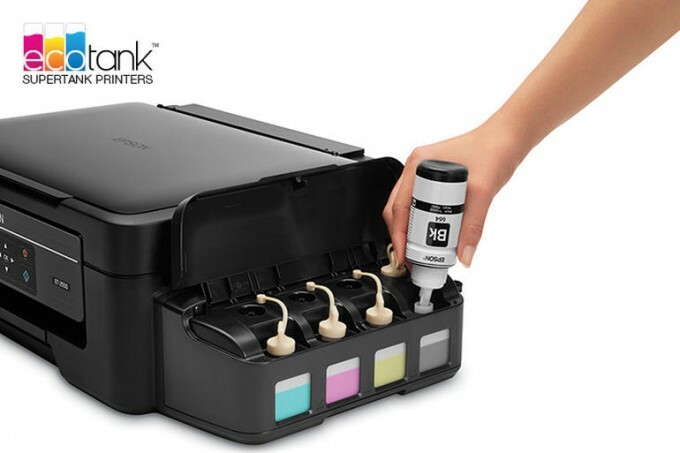 Replenishing the ink is a simple matter of pouring in a new supply from bottles that cost around $20.00 or less. The printer itself also enjoys a reliability bonus since the print heads don’t heat up. While a Supertank printer costs a little bit more than today’s cheap models, users will save a lot more over the life of the printer given the infrequency in buying ink. Given its likely long service life, you’ll save many times over compared to the current model of printer and ink usage. Moreover, the environmental impact is significant since you’ll be disposing of spent ink containers a whole lot less. It may be “just” a printer, but I’m excited about the EPSON Supertank printers! J.D. Kane: It’s utterly impractical, really, but it’s wild and exciting. 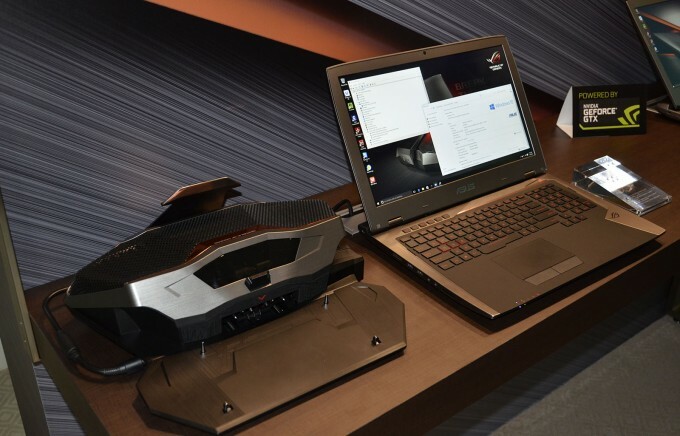 ASUS’ RoG GX700 Gaming Laptop is a lot like a supercar: It’s prodigiously powerful, capable of mind-blowing performance, styled to excite, engineered like a F-22 Raptor, and yet is impractical in the grand scheme of things. The RoG GX700 is equipped with an NVIDIA GTX980 desktop GPU and an Intel Skylake quad-core CPU, so it’s got it where it counts the most. Add on its hydro module which endows this beast with water cooling (arguably necessary, given its fierce hardware specification), and you’ve got something unique. Then there’s the attention to detail as you’d find only in the finest machines: The hydro module features quick disconnects for the water-cooling pipework. So why put a water loop on a ‘laptop’ (who are we kidding here, it’s a desktop that just so happens to fit in a backpack)? Well, that’s simple; overclocking. This not-so-little beast allows you to not only overclock the CPU, but the GPU as well – taking the system to new heights in performance. Yeah, it’s silly as a gaming laptop, but would you refuse to own one of these things if you had the chance? I wouldn’t. Tom Roeder: I have a two year-old son, and the more he grows, the more he learns; it is really a remarkable thing to witness. One thing I have noticed when it comes to kid’s toys, a lot of them don’t seem to teach kids how to think, which is not an easy task. 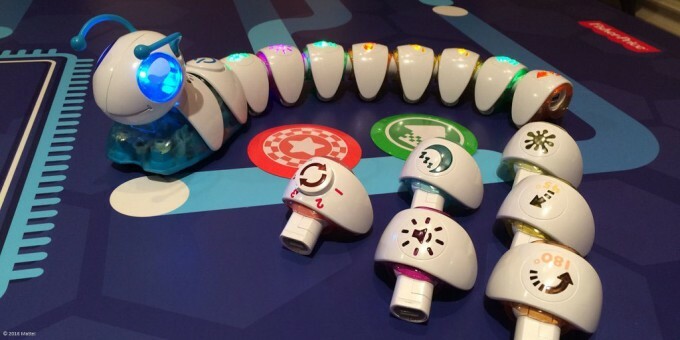 Fisher-Price has filled this void for kids from 3-8 year olds with its Code-A-Pillar. The starter kit that you purchase comes with 8 segments that light up and are motorized, and perform different tasks. Those tasks are represented by symbols on the top of each segment. Some of the task options are left turn, right turn, forward, backwards, just to name a few. The Code-A-Pillar’s actions are based on the segments that are installed in the order in which they are installed, giving the child a real hands-on experience, and real-time results based on the choices they make. You could build a small course out of soup cans on the kitchen floor for example, and challenge your child to build their Code-A-Pillar to navigate the course. The possibilities are only limited by your imagination! The starter kit comes with 8 segments, and is priced at $49.99, with optional add-on pieces that can be purchased separately. You will be able to pick these up at most major retailers in the Fall of 2016. 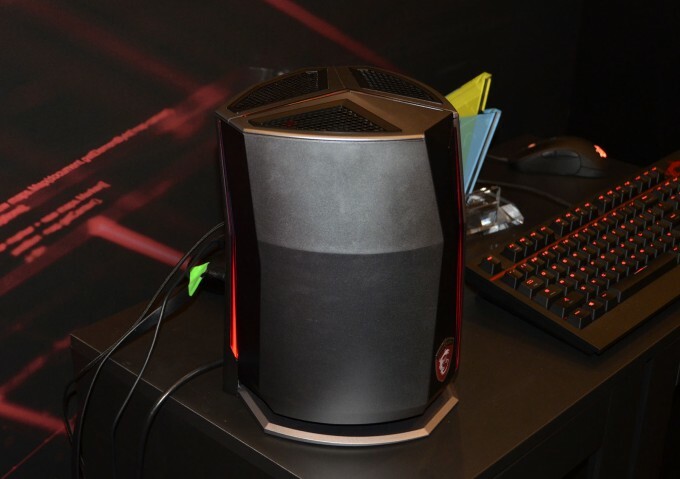 Rob Williams: MSI’s Vortex gaming PC might look unassuming on the outside, but under its hood, it’s an absolute powerhouse. Given its design, no one would blame you if you were to compare it to the most recent Mac Pro, released a few years ago. At that time, I said that it had an “ingenious” design, and that still stands true. Basic design is where the comparisons end with the Mac Pro. The Vortex is built through and through for gamers, a fact that’s highlighted when you realize that even the base configuration packs in dual GeForce GTX 960 cards. On the higher-end, this super-small PC can handle Intel’s Core i7-6700K CPU and dual (as in TWO!) GeForce GTX 980s in SLI (confirmed through the NVIDIA Control Panel) – we’re talking desktop cards here, not the mobile variants. For a bit of customization, the Vortex’s LED can be configured to whichever color you like. In operation at MSI’s CES suite, the Vortex seemed almost dead quiet, with a modest amount of heat coming out of the back. Weight-wise, it felt to be no heavier than 10lbs. If there’s an immediate downside, it’s that the base Vortex will cost around $2,000 USD. That’s a high price to pay, but you’ll be hard-pressed to find so much power in such a modest form-factor (and a cool-looking one, at that) anywhere else. Greg King: So this technology was picked in our Best of CES 2015 last year. I was impressed with what SteelSeries was showing off with its Sentry so much that I felt it needed to be included in our list. One of the companies we met with was MSI. Its showroom is where we saw the HTC Vive up close and while there, they were showing off one of its new notebooks with the Tobii EyeX built into it. Positioned at the bottom of the display, it fits well into the conventional design of notebooks that we’ve all come to know for years. Design aside, the hardware is only one side of the EyeX and its only as powerful as the software that runs on it. The EyeX tracks a user’s eye movements after a very quick calibration process. Tobii has been in the accessibility market for years and only now are we starting to see developer support for its hardware. 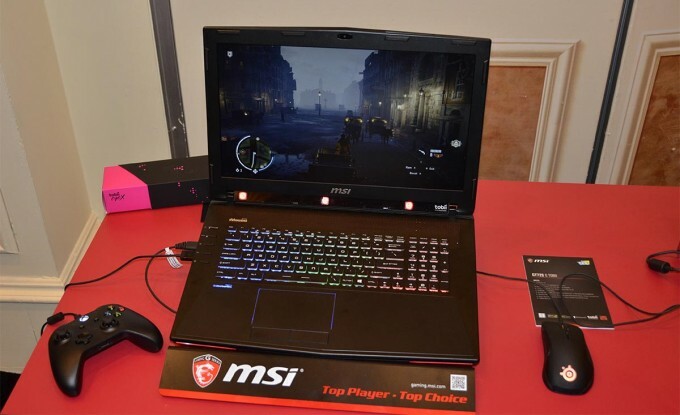 Running on the incredible MSI GT72S Tobii, the team from Tobii was with us to walk us through the advantages of playing Assassin’s Creed Syndicate. Under normal circumstances, a player would have to position the center of their screen on a point they would like to shoot their grappling hook at. With Tobii’s eye tracking technology, the user simple needs to look at what they wish to grapple and hit the appropriate action key or button to perform the action. Controlling the game’s core mechanics might not ever be possible on Tobbi’s technology, but that’s OK. As they pointed out to us when we stopped by their booth, their technology doesn’t replace or subtract anything from the experience of playing a game. They only add to the possibilities of interacting with the surroundings within a supported game. While the company isn’t new to eye tracking, its application in games is. In only a year, we now see support from one of the largest developers on the planet. Say what you will about Ubisoft, they make many good games. Games that can be enhanced with Tobii technology. Rob Williams: I hadn’t heard of Remix OS prior to CES, and after meeting the folks behind the project, I began to regret that. OSes built around Android (or mobile OSes in general) are nothing new, but what I saw from Jide genuinely impressed me. Remix OS is a legitimate desktop operating system that doesn’t feel like it was built on a mobile one. One of the biggest reasons Remix OS feels like a legit desktop OS is that it supports proper multi-tasking with windowed apps. Beyond that, Remix OS offers one of the most attractive interfaces I’ve ever seen; even as a devout Linux fan, I can’t say that any desktop environment there holds a candle to this one in terms of the slickness, and overall attractive aesthetics. In fact, while Remix OS is based on Android, and it’s hard to ignore that fact, it doesn’t “feel like” any other Android you’ve ever used. I have an AIO PC here with Android, and it’s pitiful in comparison to this heavily customized release. 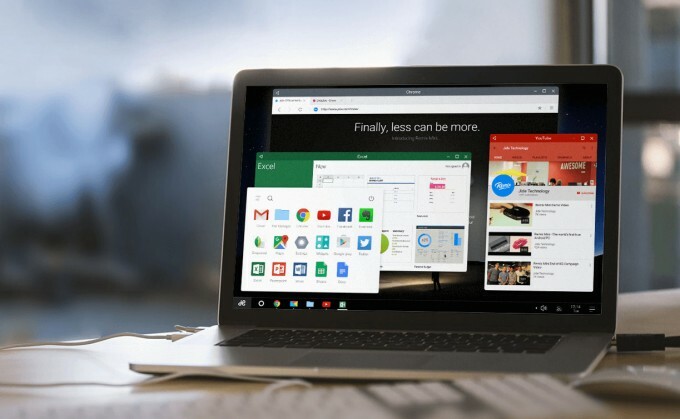 If you want to give Remix OS a try on your own PC, you can do so by downloading it here. If you want to hook a family member up with a seriously inexpensive PC that can handle everyday tasks, you could opt to purchase the official Jide Remix Mini, a palm-sized PC that sports a quad-core SoC, 2GB of RAM, and 16GB storage – all for a mere $70. Tom Roeder: There was a lot of Home Automation at CES this year, a whole lot of it. Many companies’ offerings are very similar in form and function, but one particularly grabbed my attention, and that is Iris by Lowe’s. Not because Iris is new, or that it’s really doing anything remarkably different from the bounteous offerings at CES this year, but because its product is simple, streamlined, backwards-compatible with previous offerings. It also has an all-new modular pricing plan for its monitoring service, and it is backed by a retail super-power with a very good reputation for customer service. The offerings from Iris are vast, and offer a lot of functionality. They range from thermostats to smart outlets, locks, garage door controllers and more. Iris is also compatible with ZigBee, Z-Wave and others. Devices that have the “Works With Iris” logo have been certified to work with Iris, giving you a very broad modularity to the platform. The monitoring plan has been refreshed, from a granular and convoluted package offering, to a simplified program that is much more streamlined. The basic plan is free, and allows users to control devices from the Iris mobile app. There is also the Premium Plan ($9.99/mo and free for the first two months). The Premium Plan gives you incredible flexibility, up to 14 days of device history, create custom groupings of lights and switches to control, record video on command or based on alarms and events, lock and unlock doors remotely, just to name a few. 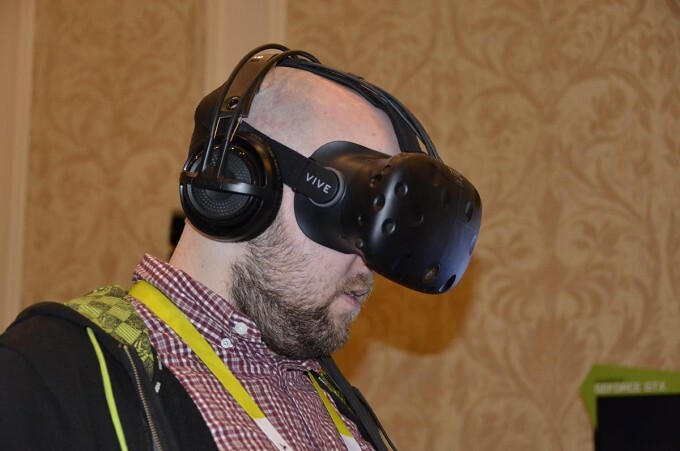 Greg King: One omission I had in my rundown of the Vive was in the 2016 CES themes. Drones and VR were the primary topics on everyone’s minds, but per capita, home automation took home the crown for most representation (that or fitness… whatever). Of all that we saw, and we saw a lot, one company stood out in our minds as one that seems to actually have it right. While many companies have been focusing on thermostats, Ecovent shifted their attention to another part of the home HVAC solution. As their name suggests, Ecovent has designed and produced smart vents. By using motorized vents, climate sensors and a smart hub, it has been able to design a solution that addresses the single greatest shortcoming of home HVAC. In a typical home, there is one thermostat that controls the temperature of the entire home. In my home, it’s in the center of a long hallway that leads to the master bedroom. As the thermostat keeps the furnace or air conditioner on, the house fills with air that regulates the temperature in the home to a point where the thermostat itself can kick off the HVAC system. When the temperature deviates from what the thermostat is set to, it kicks it back on. 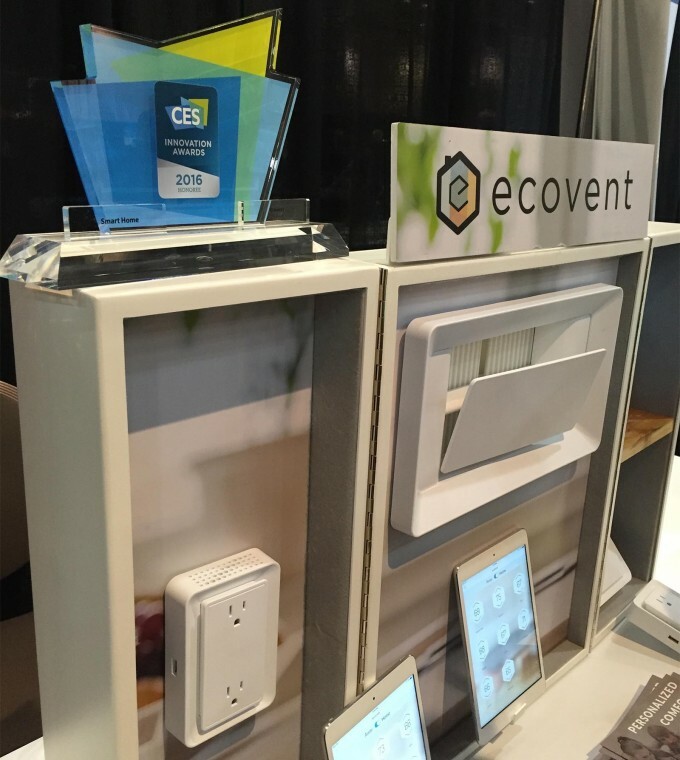 With Ecovent, the vents of a home will all be replaced with its smart vents and working with the sensors in each room, those vents open or close based on the temperature at the sensor. For example, the master bedroom in my home is on the end of the house, directly above the garage. Even with new windows and sufficient insulation, the room is cooler than the rest of the house in the winter and warmer in the summer. When I set the thermostat to 68 degrees in the winter, the bedroom usually stays around 64-65 because the hallway where the thermostat resides gets warmer quicker than my bedroom. If I were to outfit my home with Ecovents, the furnace would remain on and the vents in the other rooms could close when they reach 68 degrees, forcing more warm air into my bedroom whose vents are still wide open. If you told me I’d be writing about a HVAC vent at CES, I’d call you a liar and knock your drink out of your hand. 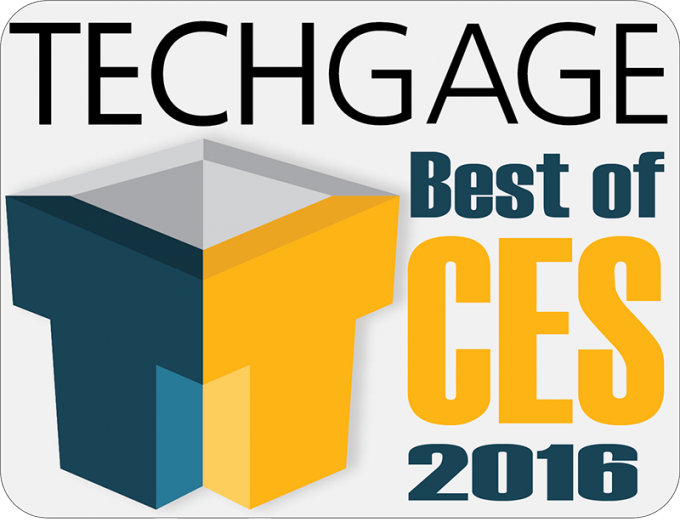 Now that we’re awarding Ecovent (already a CES Innovation Award winner) a Techgage Best of CES 2016, I suppose I owe you another drink. Tom Roeder: Having a two year old son, naturally I was keeping my eyes out for toys that offer interaction to develop hand-eye coordination, shape and number recognition, and so on. At CES this year, there were some interesting offerings on display, but one in particular caught my eye, Edwin the Duck. Edwin the Duck is an interactive app-driven rechargeable rubber duck, which looks just like the ones that almost everyone had in their tub at some point in their life. This duck is waterproof and perfectly safe for use in the tub, but is not limited to tub time. A myriad of educational games are included in the app, which works directly with the Duck, this teaches shape, number, and letter recognition, as well as other interactive games, songs, stories and lessons. 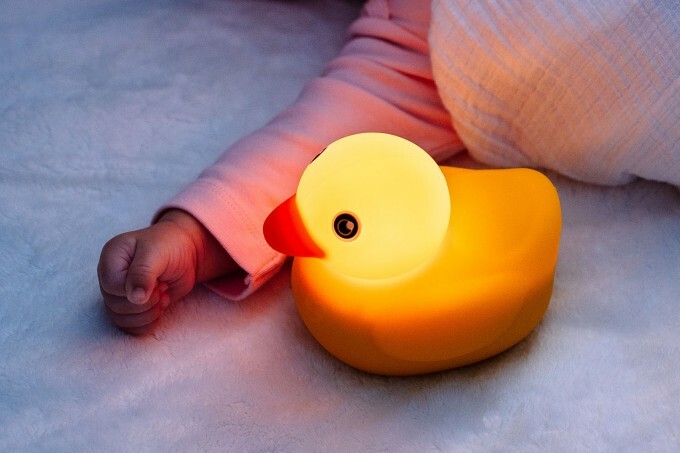 Edwin the Duck can even be used as a sleep aid providing bed-time music, white noise, or a soft night light, all timer-controlled right from the app. This toy is available for $99.99 and is suitable for children from infant to 9 years old. J.D. 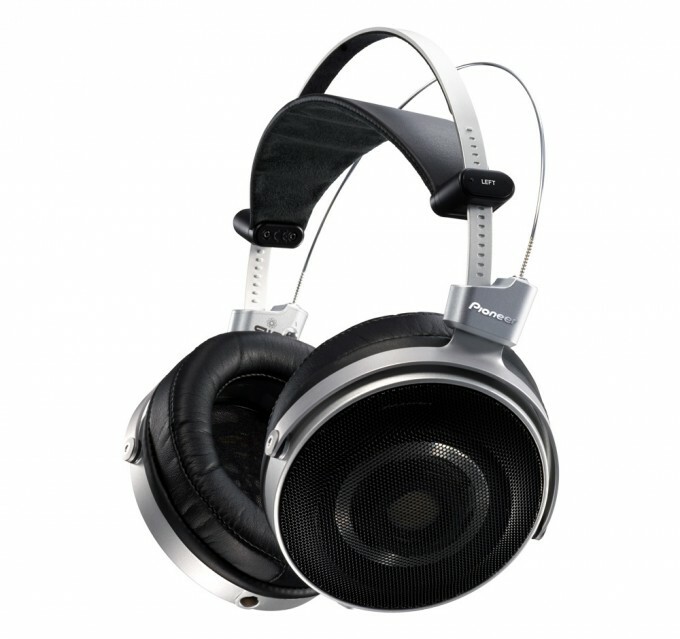 Kane: Pioneer’s SE-Master1 Stereo Headphones gave me a serious case of eargasm. The funny thing is, trying the SE-Master1 wasn’t even something I’d planned on doing. You see, fellow Techgage staffer Tom Roeder and I were meeting with another company at one of the hotels at CES; that meeting was really short, and we decided to check out the other companies and their offerings nearby before proceeding to our next scheduled stop. Pioneer happened to have an exhibit nearby, so we took the opportunity to try out its gear. A few minutes of listening later, and the SE-Master1 had me lusting after it like nothing else. I cannot properly describe the experience of listening to tunes through these things, but suffice it to say that I could hear it whispering to me to take it home with me. Okay, I’m exaggerating. The SE-Master1 headphones are each handmade in Japan, and they really do sound like they’re worth the few thousands of dollars that the Pioneer rep said they were going for. There’s something about things that are designed well and are handmade that just endows them with a special something. Trust me. You just had to be there. But if I had an obscene surplus of money, I’d definitely put myself on the waiting list for Pioneer’s best.